For more than 5 years war has been raging in Syria. Thousands of refugees have undertaken the dangerous journey to Europe to save their lives. 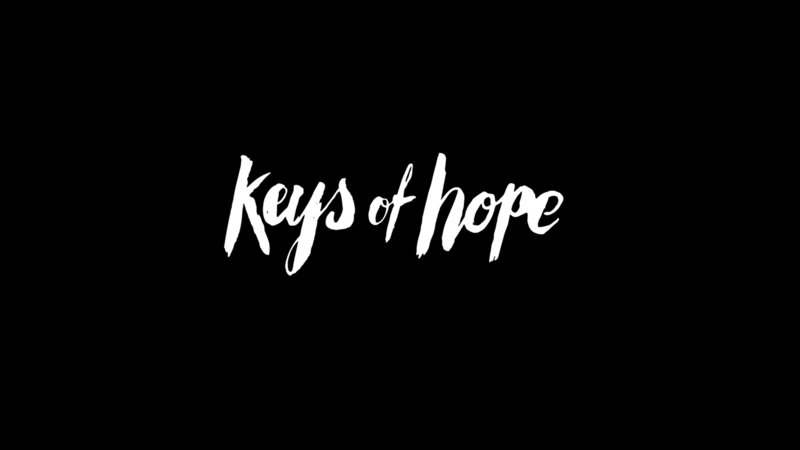 “Keys of Hope” aims at sending a message of solidarity. And a signal of hope - until a peaceful life in Syria is possible again. Behind every key is a human being. Behind every human being there is a story. The interviews were taken in a hostel for refugees run by the Malteser Hilfsdienst in Hamburg as well as in a refugee camp in Sid close to the border of Serbia and Croatia. In order to protect the refugees and their relatives original names have been changed. Refugees have left everything behind except the hope to go back one day. They need our support to keep on hoping. Caritas Germany’s international department provides humanitarian and emergency assistance to people affected by natural disasters or political conflicts. The journey through the Balkan countries has been the main route for refugees as they are searching for a life in safety and dignity. Together with partner organizations Caritas Germany supports people in need who had to leave everything behind. This project could not have been realized without the love and support of the following people and companies. this is the central motif for caritas international’s new “Keys of Hope” campaign launched in March 2016 coinciding with the fifth anniversary of the start of the Syrian civil war. With this campaign, we draw on powerful symbolism. Many Syrians take their house keys with them when they flee the country – the key represents a wish for a safe home and the hope of one day being able to return to their homeland. “Keys of Hope” tells these people’s stories.